Winter is coming and with that comes our need to buy a more than powerful heater for ourselves. Life is too short to be freezing in our living rooms and going to bed with socks on. There are plenty room heaters that are available in the market. All we need to do is search, but honestly who has the time to waste hours trying to find the perfect tent heater? Reading reviews online and finding of the pros and cons of each product you like can be a task in itself. Let us make your life a little easier, you already have way too many problems to deal with right now, we don’t want to burden you with another one. 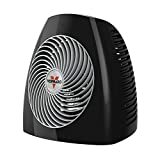 In this article, I will be listing out the features, pros and cons of Vornado MVH Whole Room Vortex Heater so that you can make up your mind– whether or not you want to buy this product. This product is one of our top picks in this genre, but you don’t have to believe me, take a look for yourself. We promise we will give you enough information on whether you really want to invest in this product or not. This room heater is perfect if you want a compact yet efficient heater at the lowest possible price. You can dump this in any corner of your room and forget about it– it will do its job in time. Unlike other room heaters that will emit a gust of warm wind from it, Vornado MVH Whole Room Vortex Heater will warm up the air in the room and you will feel the same amount of warmth in every corner of the room. You can control the amount of warmth you want and set up your temperatures accordingly. It lets you choose between three different heat settings according to your preference so that you are never too hot nor too cold. The built-in thermostat also gives you enough freedom for you to choose from as many as seven different settings to make living more comfortable. This particular design is child-friendly as it has safety features like tip-over protection. That is, no matter how notorious your kids are, they won’t be able to trip of this device and even if they do, no harm will be caused to the device or your little ones. There are products on the market that will make your hands burn if you accidentally ever touch it. The Vornado MVH Whole Room Vortex Heater has a thick insulation on its outside that will be cool to touch and will not be hazardous. The dimensions of this item are 10.6×10.4 and it weighs about 3.76 lbs, way lighter than any of the other room heaters in the market. And is of 120V in power. This product is covered by a warranty period of 5 years over manufacturing defects and any basic dysfunction. This product is built to meet U.S. voltage requirements. And it is certified to be safety-tested. This device has a compact design that is easy to carry around from one room to another. This will heat up the whole room gradually and evenly. This will surely reduce your electricity bill and lower down your costs. There is no shipping charge for this product. This device has an automatic shut off technology if it feels a hindrance. Therefore now you need not worry about keeping your curtains in place, they can fly all over the place. This heater will adjust itself. This product is a reliable heater for everyday use and no user has complained about it being hazardous to his or her health. You will get this device in three colors- black, grey and warm grey, now you can choose a color that goes with your decor. This product is manufactured to be user-friendly and you will not have to scratch your heads trying to figure this device out. It works efficiently and most important quietly without disturbing people around. This manufacturer’s warranty is only limited to only the United States. People have complained about its lack of proper insulation. It does not have heat regulation systems. This product is definitely on the costlier side compared to others in the market. Users have complained about emission of a foul smell after a few uses.